Jordan Spindle, M.D. is a Board Certified Ophthalmologist with a two-year fellowship in Oculofacial plastic surgery. Dr. Spindle completed his undergraduate degree in Biomedical Sciences at Texas A&M University and completed medical school at the University of Texas at Houston. He completed an internship at John Peter Smith Hospital in Fort Worth, his residency in Ophthalmology at SUNY Downstate in Brooklyn, NY, and was chosen from a highly competitive field of applicants to train for two years as an American Society of Ophthalmic Plastic and Reconstructive Surgery (ASOPRS) fellow at the prestigious UAB Callahan Eye Hospital in Birmingham, AL. 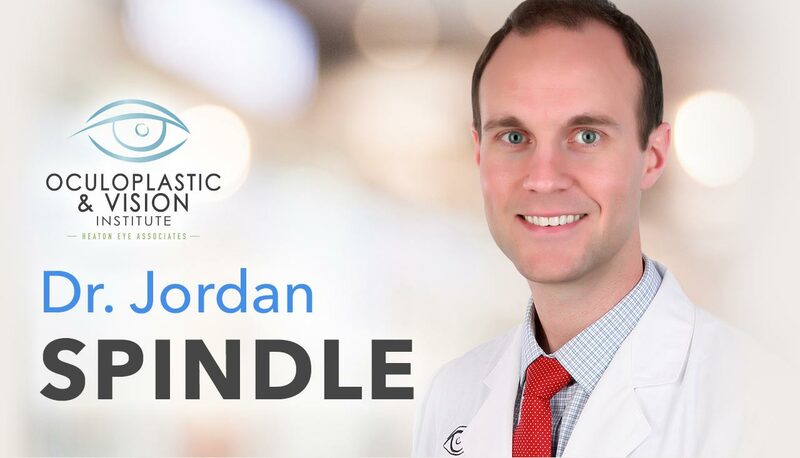 Dr. Spindle brings exceptional credentials, experience and a wide variety of oculoplastic services to the patients of East Texas. With his conservative approach, his patients enjoy a more youthful appearance with impressive, yet very natural results. When choosing your surgeon, it is extremely important to look for a cosmetic and reconstructive facial surgeon. Dr. Spindle is a Board Certified Ophthalmologist with extensive training. In fact, he’s the ONLY two-year fellowship trained Oculofacial plastic surgeon in the area and is a member of the American Society of Ophthalmic Plastic and Reconstructive Surgery. If you are interested in turning back the hands of time, Heaton Eye Associates offers a variety of cosmetic procedures. All procedures are performed in the privacy of an office or in our award-winning AAAHC-Accredited Laser & Surgery Center. Heaton Eye Associates offers cosmetic injectables and dermal fillers, such as BOTOX® Cosmetic and JUVÉDERM, for patients who want to reduce the look of fine lines and wrinkles on their brow, forehead and around the eyes or mouth. The doctor administers a few quick and virtually pain-free injections in the clinic, and you are out the door and back to your normal activities. We also offer LATISSE®, a prescription treatment that can be administered at home, to help grow longer, fuller and darker eyelashes. Our experienced surgeons perform eyelid lifts, medically known as blepharoplasty, to improve both visual function and cosmetic appearance. Saggy eyelid tissue can block the upper field of vision, which can cause discomfort, aching brows, eye fatigue, and a tired appearance. In some cases the excess skin causes the eyelashes to turn in and irritate the eye. The benefits are easy to see, an unobstructed vision and an improved younger looking appearance!